Norfolk. We Love It. We Live it. As a small, independent family-run business, we’re passionate about where we live. Consequently we’ve been singing the praises of Norwich and Norfolk for over ten years via our websites EnjoyNorwich.com and EnjoyNorthNorfolk.com. Enjoying Norfolk, and our discount card, takes our mission one step further. We want people to discover, support and enjoy Norfolk’s best businesses. By offering discounts we hope you’ll be minded to discover new places and explore new things to do in Norfolk. And since these deals are year-round for card-holders, we hope you’ll return, offering a level of loyalty and support to the fabulous Norfolk businesses involved. 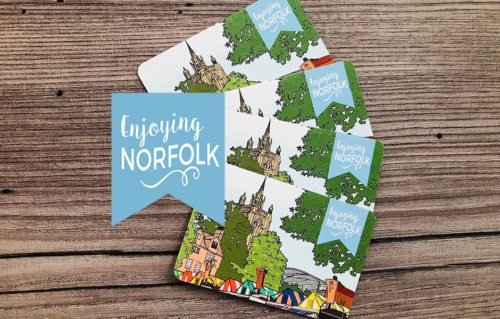 To encourage cardholders to discover new places and things to do in Norfolk. To support local businesses across Norfolk by visiting them and using them, all the while saving money with exclusive discounts and offers. 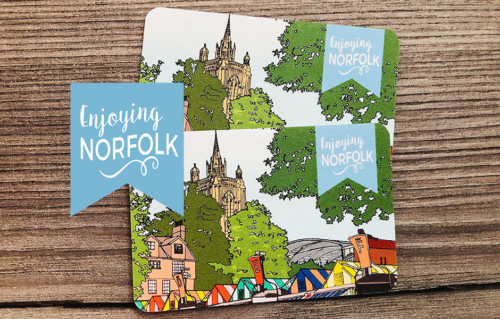 Enjoy more of Norfolk: Discover, Support, Enjoy. 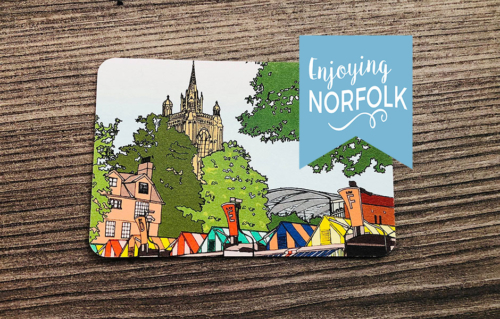 Each Enjoying Norfolk Card features a design by a local Norfolk-born artist or photographer and is printed on 100% recycled cotton made from old T-shirt offcuts. Each card is good for a year from the date you first buy it and there are discounts for multiple cards and families. 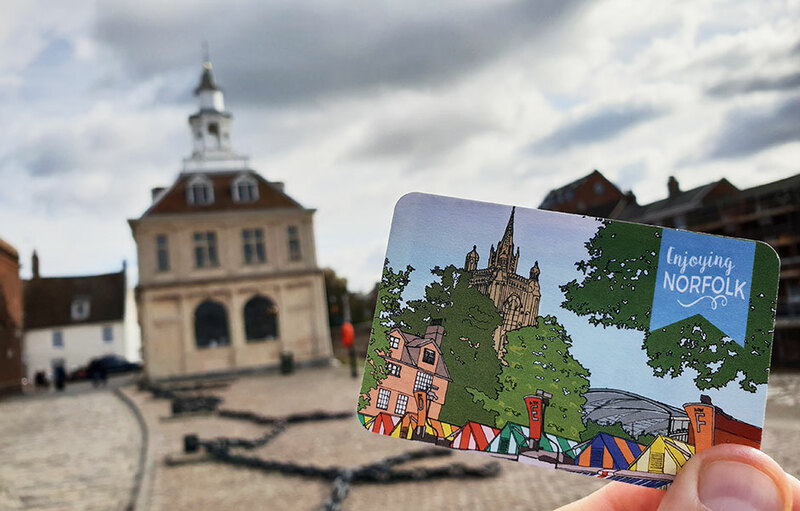 You can currently enjoy discounts from Norwich to King’s Lynn and we’re busy adding new discounts and deals all the time. For a full list of the discounts and offers available to cardholders, please click HERE.